Hearing loss occurs when some part of the ear or brain that controls sound isn’t functioning normally. 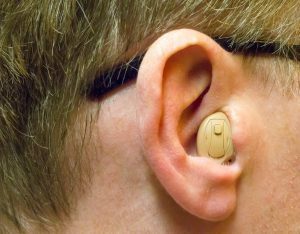 We have talked plenty about hearing loss on this blog page, but have you ever wondered how hearing works in the first place? The ear is a very complex part of the body and is always working to ensure that we can hear and interpret sound. Hearing loss occurs when some part of the ear or brain isn’t functioning normally. Broken down by the parts of the ear, here is how hearing works. The outer ear is made up of two parts: the Pinna and the Ear Canal. The Pinna is soft tissue that makes up majority of the visible part of the ear. It helps to shape sound so that the brain can determine where the sounds are coming from. The Ear Canal is the actual pathway that directs sound towards the middle ear. The middle ear begins with the Eardrum, which vibrates when sound waves pass through it. The Eardrum is connected to three small bones called the Ossicles, which vibrate along with the Eardrum. The last of these three bones, known as the Stapes, is what passes the sound vibrations along to the Inner Ear. The Cochlea is a part of the inner ear and is what actually converts sound vibrations into nerve signals using something called hair cells. DIfferent hair cells respond to different sound pitches. The currents that are produced in the Cochlea are transmitted to the auditory nerve which passes through several stations in the Brainstem before reaching the Auditory Cortex. The Auditory Cortex is the part of the brain that interprets and makes sense of sound. The Vestibule contains the Semicircular Canals, which is what provides us with our sense of direction, balance, and space. Problems within the Vestibule can cause hearing problems such as Tinnitus which produces a constant ringing sound in our ears. This not only affects our hearing, but can also affect our balance as well. This entry was posted on Wednesday, April 18th, 2018 at 3:28 pm. Both comments and pings are currently closed.